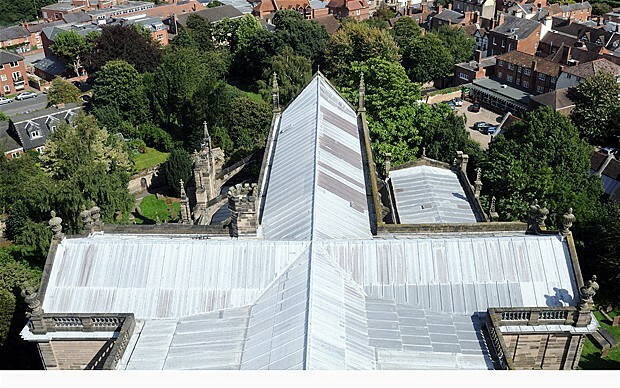 The increase in value of metals such as copper and lead means that thieves are now actively researching and planning raids on Church of England buildings using mapping tools such as Google Earth to strip the roofs of the lead they contain. A large number of churches are Listed Buildings, which ensures the buildings are protected for their historical value, are being targetted more than once, in some cases the number of “attacks” have reached double figures. Google Earth provides recent imaging of many countries around the world, allowing its users to search and find important landmarks in different locations. It is thought that gangs are using the tool to mark which churches are worth targeting by scouring Google’s mapping service, locating church buildings and then using the tools zoom functions to work out if the building would provide the metals they seek. Gangs are also targeting live power lines used by railways to power trains, Google Earth cannot be used to the plan in as much detail but it can still provide an adequate amount of detail to plan attacks on railway tracks also.